Publisher / Place of Publication: Irish Academic Press Ltd. / Kill Lane, Blackrock, Co. Dublin. 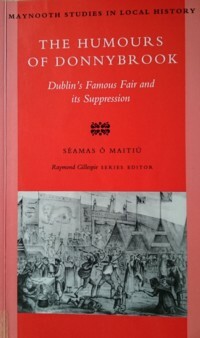 About: This is book Number 4 in the series ‘Maynooth Studies in Local History’. The series presents outputs arising from the M.A. Programme in Local History at St. Patrick’s College, Maynooth. 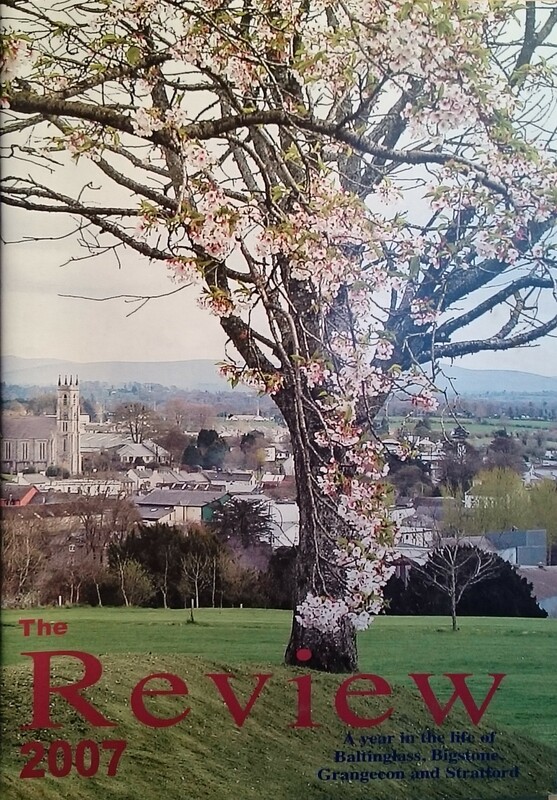 This particular volume tells the story of the Fair at Donnybrook which officially occurred for more than half a century and may even its origins in pre-Christian times. It was certainly part of a wider European culture of carnival or celebration. Unfortunately the authorities saw fit to abolish it in 1855 as a consequence of what would be known today as ‘anti-social behaviour’. Indeed the word ‘donnybrook’ has entered the Oxford English Dictionary to mean “a scene of uproar and disorder’. Chapters: Maynooth Studies in Local History — Preface — Introduction and Historical Background — The World of Carnival — Lent Victorious — Notes. Extra #1: includes four illustrations. About: This is a short piece contained within a 3-page ‘Notes’ feature. It provides some details on a sculpture by the American artist, John Bernard Flannagan (1895-1942) which had recently been acquired by the Metropolitan Museum of Art in New York. Entitled ‘Figure of Dignity’, it is a representation of an Irish mountain goat “carved in Blessington granite” while the artist was in Ireland in 1932. Extra #4: Includes a black and white photograph of the sculpture. This blog entry refers to Caitlín Maude who was born in Casla (Costelloe) in the Galway Gaeltacht in 1941. Caitlín was a multi-talented individual. Her profession was as a teacher but she was also a dramatist, poet, actress, singer and musician. She died from cancer at the relatively young age of 41, and has left a small but significant artistic legacy. WW Connection #1: Caitlín Maude spent some time as a teacher in Carnew in South West Wicklow. Extra #1: Link to the biographical essay on Caitlín Maude via ainm.ie.